1) Rohde V, et al. Gesundheitsberichterstattung des Bundes. Heft 36 (2007) Prostataerkrankungen. 2) Napa Valley Urology Associates. Enlarged Prostate. 3) EAU Patient Information. Surgical Treatment of LUTS in Men with BPE. 4) Delongchamps NB, et al. Surgical management of BPH in patients on oral anticoagulation: transurethral bipolar plasma vaporization in saline versus transurethral monopolar resection of the prostate. Canadian Journal of Urology 18 (2011): 6007-6012. 5) Kan CF, et al. Heat Damage Zones Created by Different Energy Sources Used in the Treatment of Benign Prostatic Hyperplasia in a Pig Liver Model. J Endourol. 29(6) (2015): 714-717. 6) Geavlete B, et al. Bipolar Plasma Vaporization vs Monopolar and Bipolar TURP-A Prospective, Randomized, Long-term Comparison. Urology 78 (2011) 4: 930–935. 7) Wroclawski ML, et al. ‘Button type’ bipolar PLASMA vaporization of the prostate compared with standard transurethral resection: a systematic review and meta-analysis of short-term outcome studies. BJU Int. 177 (2016): 662-668. 8) Treharne C, Crowe L, Booth D, Ihara Z. Economic Value of the Transurethral Resection in Saline System for Treatment of Benign Prostatic Hyperplasia in England and Wales: Systematic Review, Meta-analysis and Cost-Consequence Model. EU Focus, March 2016. 9) Giulianelli R, et al. Bipolar Plasma Enucleation of the Prostate (B-TUEP) in Benign Prostate Hypertrophy Treatment: 3-Year Results. J Urol. 107 (2017): 190-195. 10) Geavlete B, et al. 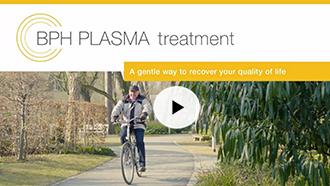 Transurethral resecion (TUR) in saline plasma vaporization of the prostate vs standard TUR of the prostate; ‘the better choice’ in benign prostatic hyperplasia? BJUI 106 (2010): 1695-1699.